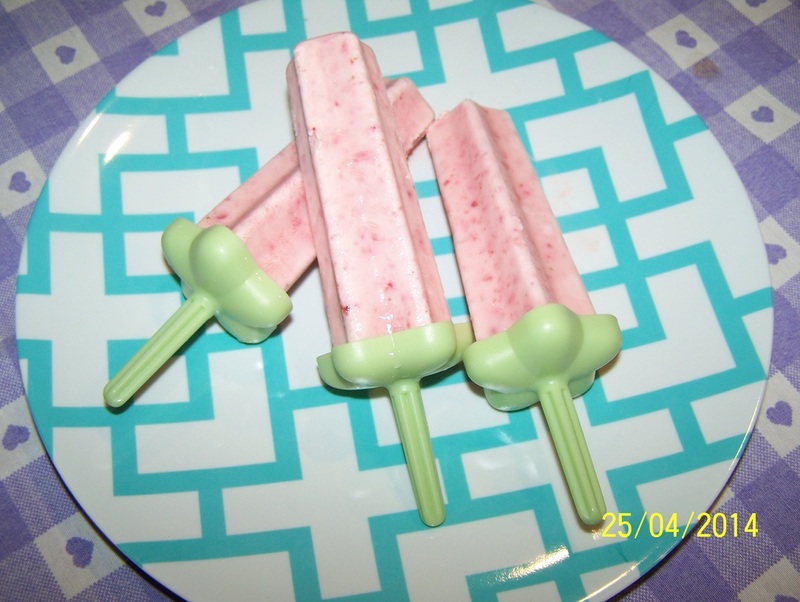 I love when you find a quick healthy treat you can make for your kids. This is so easy, and so tasty, my kids absolutely love these. The mix before it is frozen is delicious, the mixture once frozen is delicious. The sugar amount can be reduced, that is up to you and what you like. You can dip the tips into melted white chocolate before serving, thin sprinkled with 100's and 1000's, but I must say why bother, they taste great without it. The yoghurt I like is Farmers Union Greek Style Yoghurt, but use whatever brand you like. You can use low fat if you like, but I find you just take out the fat and replace it with sugar, so why bother. Give these a try your kids will thank you. Put the strawberries, sugar and vanilla in the bowl of a small food processor. Blitz until the fruit is roughly chopped. Remove the blade and stir through the yoghurt. If you don't have a food processor, just put the strawberries, sugar and vanilla in a large bowl, crush the strawberries with a fork until roughly broken up and sugar has dissolved, then mix in the yoghurt. 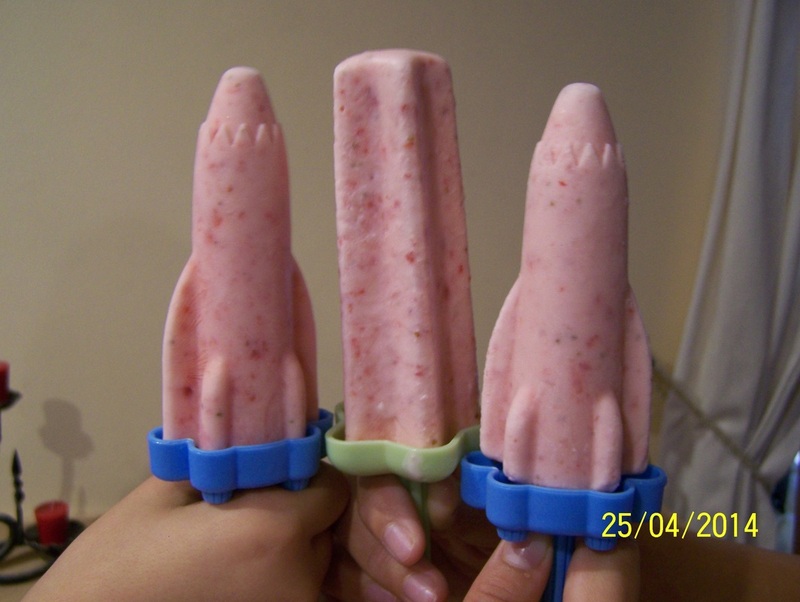 Pour or spoon the mixture into your moulds and freeze.